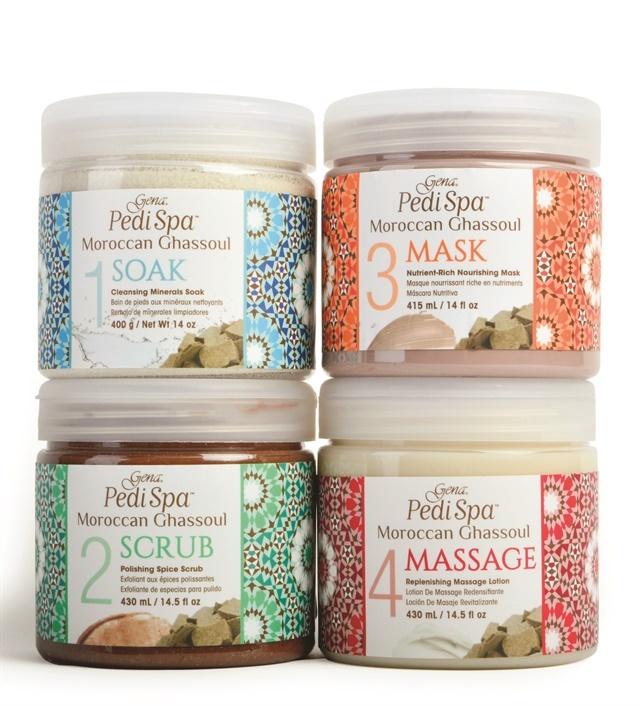 Inspired by the luxurious Moroccan Hammam bathhouse, Gena Pedi Spa introduces the new four step Moroccan Ghassoul pedicure system. Ghassoul clay from the Atlas Mountains is rich in silica, potassium, magnesium, iron, and calcium. These precious minerals help to revitalize skin, remove surface oils and unclog pores for a noticeable improvement in skin texture. For centuries, bathers at the Hammam have also used the clay to exfoliate and increase circulation, imparting a healthy glow and promoting a sense of invigoration and well being. For more information, visit Gena PediSpa.